This is a guest post by Jean-Louis Thiébault, emeritus professor at the Institut d’Etudes Politiques de Lille, France. 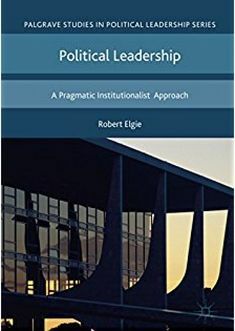 The analysis of the relationship between the president and his party is an essential factor in understanding presidential or semi-presidential systems. The presidential party provides the cadres, activists and supporters who support the presidential candidate of this party in the conquest and the practice of power. During the presidential campaign, it is transformed into a real political machine in the service of a man who is the candidate of the party. The party is transformed into a presidential party if its candidate is elected. It provides the bulk of the ministers nominated by the elected president to form the government, especially if it receives an absolute majority of parliamentary seats. It votes the texts which constitute the essential elements of the presidential program. But there are two types of presidential parties. Many of them are traditional parties, long present on the political scene. But fewer of them are newly created, especially by a candidate who does not belong to any party and who wishes to have a political machine capable of supporting him in his conquest of power and in the implementation of its policy. This second type of presidential party resembles one of the different types of “personal parties”, analyzed by Mauro Calise from the example of Italy (1). They are subject to complete control by a presidential candidate on the party he has created himself. The French presidential election of 2017 showed that three of the main candidates, Emmanuel Macron, Jean-Luc Mélenchon and, to a lesser extent, Marine Le Pen, were at the head of a movement that was not a traditional party , but rather a personal party (respectively La République en Marche, La France Insoumise and the Front National). Our analysis takes into account only la République en Marche, which has become a presidential party following the success of Emmanuel Macron in the 2017 presidential election. Pierre Rosanvallon has clearly shown the difference between a traditional party and this new type of party. According to him, a traditional party expresses a social world, territories, a culture. It is a grouping of people who share a certain social or ideological identity. On this basis, its members express opinions that become programs, and choose leaders. The movement acts in reverse: it is a leader who chooses a base. The traditional party relies on the implementation of the classical conception of representative democracy. It is a machine that organizes the representation of a group, while the movement organizes the membership of a leader (2). The victory of Emmanuel Macron accomplished the trend towards the personalization of the political life that began over a half a century ago. This personalization has long been perceived as a perversion of democracy, particularly in France. In the republican vision, good democracy is impersonal and power must be collegial. In France, ideas, doctrines and programs continued to be a determining criterion. The victory of Emmanuel Macron updates for France an old phenomenon in the United States: the decisive weight of the personality of the candidates in electoral choices. The 1960s saw the advent of a time when the personality of politicians counted infinitely more for voters than the ideas they defended or professed. The election of Emmanuel Macron marks the moment when France joined the ranks of extremely personalized countries. Pierre Rosanvallon considers that there is a growing phenomenon of personalization and mediatization, but he focuses on another factor. Quoting Thomas Poguntke and Paul D. Webb (The Presidentialization of Politics. A comparative study of modern democracies. Oxford : Oxford University Press, 2005) , he insists that the rise of executive power has profoundly changed the relationship to personalization. The 5th Republic is part of this general trend of the presidentialization of democracies, whether or not there is a presidential election. Presidentialization is a new development in Western democracies. Rosanvallon therefore considers that there is a growing personalization phenomenon, but that it corresponds everywhere to an increase in the power of the executive (4). The notion of a personal party seems preferable to that of movement. But we must go further. Indeed, the victory of Emmanuel Macron led to the transformation of his party La République en Marche into a presidential party. The party is already seeking to institutionalize itself in order to be sustainable. It seeks to acquire status and structures. It seeks an articulation with the parliamentary group (5). But this type of presidential party is indeed marked not only by the weight of institutions, but also by the personalization and mediatization of political life. The influence of Emmanuel Macron on the party is therefore very strong, not only in the electoral period before the parliamentary elections, but also during the formation of the government. It will certainly continue during the period of implementation of the policies made by the president. But the main problem in a semi-presidential or presidential regime is the autonomy of the presidential party. The analysis of the relations between Emmanuel Macron and his party leads to the observation that the president closely controls the approach of the party. The presidential party is often second relative to the president. La République en marche (LRM) party did not intervene in the nomination process, as Emmanuel Macron self-proclaimed himself a candidate in the presidential election. The candidates of the party in the legislative elections were chosen by a commission of investiture, under the close supervision of the president. Yet the party became the first party of France at the legislative elections. Macron benefited from a honeymoon election due to his victory in the presidential election. He thus benefited from the pre-eminence of the presidential election, from the lag of legislative elections in relation to the presidential election, and from the rules of the voting system in force, the first-past-the-post system. 1.) La République en Marche (LRM) party was created by Emmanuel Macron. The party is little more than one-year old. However, since June 11, 2017, it is the biggest party in France. In the run up to the legislative elections, the party already changed its name to become La Republique en Marche (LRM). The creation of this party stemmed from the desire to overcome traditional parties. Emmanuel Macron did not want to make a party in the image of those which had structured the political landscape for a long time. Members of La République en Marche were registered by simple inscription of their personal data on internet. This new type of digital membership has made it possible to garner a spectacular number of members in a very short time. La République en Marche boasts more than 360,000 members. The main lines of the statutes were set by a national convention on 8 july 2017 before being submitted to a vote of the members before the end of July 2017. They provide for free membership, a collegial leadership, three-year non-renewable terms, and an organization based on autonomous local committees. The collegial leadership was chosen to avoid an over-personalization of the party, because the real leader of this new presidential party is Emmanuel Macron. But if membership remains free, only the members of LRM with a certain seniority will be able to vote during the consultations of the party (6). Party leaders want to benefit from the windfall of public party funding to transform the party, where the bulk of the budget would be spent on training activists and leading the debate and not just running costs. For example, they want to set up a system for tracing, recruiting and training new talent. It does not want to be satisfied with a kind of internal self-selection like the traditional parties (7). 2.) The party did not intervene in a nomination process because Emmanuel Macron self-proclaimed himself a candidate for the presidential election. In the recent presidential elections, the traditional parties (RPR-UMP and PS) existed before their candidates. In 2017, Emmanuel Macron created his own political party. He announced his candidacy for the presidential election on November 16, 2016. For several months prior to the announcement, Emmanuel Macron had been preparing for the presidential election of spring 2017, including on April 6, 2016 the creation of his party, the so-called En Marche! Emmanuel Macron placed himself at the center of the political spectrum and wanted to win voters in his name. With his party claiming to be “neither left nor right”, Emmanuel Macron said that he was outside traditional political parties, at a time when many voters were wary of these parties. 3.) The candidates of the party in the legislative elections were chosen by a commission under the supervision of the president. Emmanuel Macron set a new milestone in the construction of his party by launching a process to nominate candidates for the parliamentary elections at a press conference on January 19, 2017. A “call for nominations” process was launched. A national commission, composed of nine members of En Marche !, who committed themselves to not being candidates, was set up. The objective was clear: those who want to join the party must decide without delay. Emmanuel Macron said he was ready to welcome the candidatures of parliamentarians of “all republican formations”, socialists, radicals, ecologists, centrists and republicans. On the other hand, he rejected in advance any “agreement of apparatus”, with “any party whatsoever” (8). 4.) The presidential party benefited from a honeymoon election provided by the victory of Emmanuel Macron in the presidential election. Emmanuel Macron fully understood the logic of the political regime of the 5th Republic established in 1958 and completed in 1962 when the election of the president by universal suffrage was instituted by referendum. In the “republican monarchy” that is France, everything proceeds from the double effect of the presidential logic and a parliamentary majority (9). The presidential party benefited from the popularity of the president. To win in the constituencies, Emmanuel Macron bet on his image, his youth, but also on a skillfully staged authority. He relied on a presidential style that stood out from the communication of his two predecessors. The president’s party therefore benefited greatly from the electoral situation resulting from the presidential election. No opposition parties were able to form a coherent bloc against it. The LRM candidates won by default, because in most constituencies there was no active coordination against them. With different opponents in different constituencies, belonging to different political parties, there was no reason not to expect a big LRM majority (10). Emmanuel Macron succeeded in occupying the central space and accommodating the heirs of centrism, but also appealed to “left-wing and right-wing” voters. The economic liberalism of Emmanuel Macron could attract right-wing voters, while his cultural liberalism was likely to attract left-wing voters (11). 5.) The presidential party enjoyed the pre-eminence of the presidential election. The presidential party benefited from the pre-eminence of the presidential election over the legislative elections. The victory of La République en Marche (LRM) was the result of the organization of honeymoon legislative elections. French voters did not deceive themselves and gave the president the means of presiding and the government those of governing. The legislative election campaign was not block against block, project against project, but was organised around the dynamic instituted by Emmanuel Macron. None of the three existing opposition parties was regarded by the public as a credible alternative. More than a vote of adhesion, voters made a vote of consistency (12). Whenever legislative elections take place in the wake of the presidential election, the elected presidents (François Mitterrand in 1981, Jacques Chirac in 2002, Nicolas Sarkozy in 2007 and François Hollande in 2012) their party gained an absolute majority. The only counter-example was 1988 when the PS was forced to rely on the PC or the centrists. Since 2002, and the reversal of the electoral calendar, legislative elections confirm the presidential election. The need to give a majority to the president has never been so strongly felt. It is a real novelty: a political party that was not established managed to win the legislative elections (13). 6.) The presidential party benefited from the majority-plurality system, established in 1958 for legislative elections. LRM benefited from the amplifying effect of this electoral system in legislative elections. While LRM candidates won 32 per cent of the votes cast in the first round, the presidential party secured 308 seats in the National Assembly, at the end of the second round. The objective of the two-round majority system is to secure a stable parliamentary majority and to provide the president with the means to implement his policy. The 2017 legislative elections have once again fulfilled this objective. The majority is amplified this year by the central position of LRM on the political chessboard. 7.) The presidential party did not intervene in the choice of the prime minister and the members of the government. The choice of the prime minister and the ministers is a choice of the president. The nomination of Edouard Philippe (LR) for the post of prime minister showed the desire to invent a « right-wing and left-wing » dual executive. Edouard Philippe’s appointment is an unprecedented move since, unlike all his predecessors, the new head of government is neither a close political relative, nor a faithful supporter, nor even an ally of the same party as the president. By appealing to the mayor of Le Havre, who claims to be from the right when he comes from the left, Emmanuel Macron invented a completely new executive dyarchy. The formation of the first and second government confirmed his determination to shake up the rules of the political game. With the exception of the first government of Michel Debré under the 5th Republic, it is unprecedented to see men and women from opposing political parties assembled in the same government. The departure of four prominent ministers (Richard Ferrand, Francois Bayrou, Marielle de Sarnez and Syvie Goulart), under a judicial procedure, led Emmanuel Macron to choose ministers who were mostly unknown to public opinion. They are technocrats without large political support or they were young members coming from La République en Marche (LRM), totally faithful. The promise to give prominence to civil society figures was met: half of the members of the first government and seventeen in the second. But the president and the prime minister had to agree on one key point: the number of ministries reserved to right-wing ministers. The prime minister’s political relatives set their conditions for participating in government (14). 8.) The presidential party intervenes little in the organization of the parliamentary majority. The president intends to organize the parliamentary majority. LRM has a large majority in the National Assembly, with 308/577 elected deputies. Candidates were elected because of the presidential label. But it was difficult for Macron not to meet the demands of his centrist MODEM allies (42 elected MPs) and about 20 members of the Republican (LR) party, who announced their willingness to form an independent group with the eighteen deputies of The Union of Independent Democrats (IDU). This new parliamentary group is expected to approach some 50 members. The president actively participates in the selection of key positions, even if the formal decision does not belong to him: the presidency of the National Assembly, the presidencies of the parliamentary committees, and especially the presidency of the LRM group. Emmanuel Macron keeps an attentive, if not active, eye on the choice of the holder of the post of president of the National Assembly, who is the fourth personage of the state in order of protocol. He pleaded for the installation of a woman as president of the National Assembly. But he made the choice of experience by supporting the candidacy of François de Rugy. His knowledge of the institution (he was vice-president of the National Assembly during the last parliamentary term) made him appear to be the only candidate likely to organize the parliamentary work without being overwhelmed by the leaders of the opposition. In the aftermath of the second round of legislative elections, Emmanuel Macron asked Richard Ferrand to leave his post as Minister of Territorial Cohesion to take up the presidency of the LRM group in the National Assembly. By sending Richard Ferrand to the Assembly, Emmanuel Macron appointed one of his political relatives and the first of the faithful. The election was held on June 24, 2017, at a meeting of all LRM members. Richard Ferrand was the only candidate and he was elected unanimously, with two abstentions. 9.) The presidential party does not intervene in the choice of the holders of the administrative posts of the administration. During the first two months of his five-year term, Emmanuel Macron intends to change or, on the contrary, to confirm “all the executive positions in the public service ». Unprecedented in the history of the Fifth Republic, the approach evokes the “spoil system” in force in the United States. These are the “250 posts, filled in the council of ministers”. Emmanuel Macron intends to give full value to the traditional system of revocation “ad nutum” of the so-called “government’s discretionary” jobs, relying on the loyalty of the senior officials in the ministries who draft laws, implementing decrees and interpretative circulars (15). The new party, la République en Marche, created by Emmanuel Macron, is not only a personal party, but it became a presidential party following the presidential victory of its founder. It is currently in a process of being institutionalized. This is the result of the impact of the institutions of the 5th Republic. They lead to the president’s hold on his party. But the personality of Emmanuel Macron, his style of government, and his ideas are also essential factors to be taken into account in order to understand the president’s close control over the party. (1) Mauro Calise, Il partito personale : I due corpi del leader. Bari : Editori Laterza, nuova edizione 2010 ; Mauro Calise, “The personal party: An analytical framework” , Italian Political Science Review, Vol. 45, no. 3, 2015, 301-315. (2) Pierre Rosanvallon (interview with Saïd Mahrane), « La nouvelle géographie politique », Le Point, 18 mai 2017 ; see also Michel Offerlé, « Les partis meurent longtemps », Le Monde, 31 mai 2017 ; Enrico Letta, « La victoire des mouvements sur les partis », Le Monde, 10 mai 2017). (3) Thomas Poguntke and Paul D. Webb, The presidentialization of politics. A comparative study of modern democracies. Oxford : Oxford University Press, 2005. (4) Pierre Rosanvallon (interview with Gérard Courtois), « Droite-gauche. Histoire d’un clivage », Le Monde, 17 juin 2017 ; Pierre Rosanvallon (interview with Béatrice Bouniol), « La refondation démocratique est la clé du quinquennat », La Croix, 9 mai 2017. (5) Marc Lazar, « La République en Marche aura-t-elle un destin à l’italienne ? », Le Figaro, 26 juin 2017. (6) Cédric Pietralunga, « Macron s’attelle à la structuration de son parti », Le Monde, 9-10 juillet 2017 ; Christine Ollivier, « Edouard Philippe fait la leçon aux Marcheurs », Journal du Dimanche, 9 juillet 2017. (7) François-Xavier Bourmaud, « Comment le mouvement entame sa mue pour incarner le premier parti de France », Le Figaro, 13 juin 2017). (8) Patrick Roger, « Emmanuel Macron lance un appel à candidatures pour les législatives » Le Monde, 19 janvier 2017. (9) Françoise Fressoz, “Macron et la logique de la Ve République”, Le Monde, 13 juin 2017. (10) Matthew S. Shugart, “France 2017: Round 4 (Honeymoon elections and presidentialization matter ! )”, Fruits and Votes blog, june 18, 2017; Matthew S. Shugart, “France 2017: Honeymoon election time ! )”, Fruits and Votes blog, june 11, 2017. (11) Pascal Perrineau, « Aux sources idéologiques et politiques du macronisme », Le Figaro, 14 juin 2017. (12) Guillaume Tabard, ” Les raisons d’un vote probable de confirmation “, Le Figaro, 10-11 juin 2017. (13) Nicolas Rousselier, (interview with Pierre Steinmetz et Maël Thierry), « Une majorité presque encombrante pour le vainqueur », L’Obs, 15 juin 2017 ; Nicolas Rousselier (interview with Patrick Roger), « Le présidentialisme se retrouve plus gagnant que jamais », Le Monde, 4-5-6 juin 2017 ; Nicolas Rousselier (interview with Emmanuel Berretta), « Macron peut-il ubériser la Ve République ? », Le Point, 11 mai 2017. Emmanuel Macron’s books and articles. Emmanuel Macron, Révolution. Paris : XO, novembre 2016, 270p. Macron par Macron. Paris : Editions de l’Aube, collection Le 1 en livre, mars 2017, 152p. Emmanuel Macron, « Le devoir de rester fidèles », préface à l’ouvrage de Jean-Paul Huchon, C’était Rocard. Paris : Editions de l’Archipel, 2017. « Macron, un philosophe en politique », Le 1, 6 juillet 2015. Emmanuel Macron, « Les labyrinthes du politique », Le Monde, 27 mai 2017. Emmanuel Macron, « Le monde et l’Europe ont besoin de la France », Le Monde, 27 mai 2017 (Text of the investiture speech at the Elysee Palace). Emmanuel Macron, « Tous les ans, je reviendrai devant vous pour vous rendre compte », Le Monde, 5 juillet 2017 (Text of the speech before the Congress meeting in Versailles). Emmanuel Macron, (interview with Nicolas Domenach, Bruno-Roger Petit, Maurice Szafran et Pierre-Henri de Menthon), « Macron ne croit pas au ‘président normal, cela déstabilise les Français’ », « Face au système politique, ‘ma volonté de trangression est forte’ », « Gare à la ‘République qui devient une machine à créer du communautarisme’ », Challenge, 16 octobre 2016. Emmanuel Macron (interview with Etienne Lefebvre, Nicolas Barré, Dominique Seux, Grégoire Poussielgue, Renaud Honoré), «Mon projet économique », Les Echos, 23 avril 2017. Emmanuel Macron (interview with Bastien Bonnefous, Nicolas Chapuis, Cédric Pietralunga et Solenn de Royer), «Je ne prétends pas être un président normal », Le Monde, 3 avril 2017. Emmanuel Macron, (interview with Arthur Berdah, François-Xavier Bourmaud, Marcelo Westfreid, Alexis Brézet), « Je veux réconcilier les Français », Le Figaro, 28 avril 2017. François Bazin, Rien ne s’est passé comme prévu. Les cinq années qui ont fait Macron. Paris : Robert Laffont, 2017, 489p. Marc Endeweld, L’ambigu Monsieur Macron. Paris : Flammarion, 2017, 336p. Anne Fulda, Emmanuel Macron. Un jeune homme si parfait. Paris : Plon, 2017, 288p. Nicolas Prissette, Emmanuel Macron. Le président inattendu. Paris : First, 2017, 240p. Charlotte Chaffanjon, « La fabrique d’un chef », Le Point, 11 mai 2017. Gérard Courtois, « Emmanuel Macron, une philosophie du pouvoir », Le Monde, 27 mai 2017. Jean Garrigues, « Le vainqueur du 7 mai restaure le mythe de l’homme providentiel », Le Monde, 14-15 mai 2017. Arthur Goldhammer, « Macron’s part wins a parliamentary majority », Foreign Affairs, june 18, 2017. Jacques Julliard, « Le macronisme, un néo-gaullisme ? », Le Figaro, 6 juin 2017 . Bruno Palier (interview with Frédéric Joignot), « A la scandinave ? Pas vraiment », Le Monde, 8 avril 2017. Pascal Perrineau, « Aux sources idéologiques et politiques du macronisme », Le Figaro, 14 juin 2017. Serge Raffy, « La prise de l’Elysée », L’Obs, 11 mai 2017. Philippe Raynaud (interview with Eugénie Bastié), « Le chef de l’Etat a compris les erreurs de ses prédécesseurs », Le Figaro, 19 mai 2017. This entry was posted in Europe, France and tagged France, president, presidential party on July 18, 2017 by Robert Elgie. Thomas Sedelius and Jonas Linde, ‘Unravelling semi-presidentialism: democracy and government performance in four distinct regime types’, Democratization, online first. Petra Schleiter and Edward Morgan-Jones, ‘Presidents, Assembly Dissolution, and the Electoral Performance of Prime Ministers’, Comparative Political Studies, online first. Brandon Rottinghaus and Justin S. Vaughn, ‘Presidential Greatness and Political Science: Assessing the 2014 APSA Presidents and Executive Politics Section Presidential Greatness Survey’, PS: Political Science & Politics, Volume 50, Issue 3, July 2017, pp. 824-830. Eduardo Alemán and Marisa Kellam, ‘The nationalization of presidential elections in the Americas’, Electoral Studies, Volume 47, June 2017, pp. 125-135. Mark Bennister, Paul ‘t Hart, and Ben Worthy (eds. ), The Leadership Capital Index: A New Perspective on Political Leadership, Oxford, Oxford University Press. Mindaugas Jurkynas, ‘The parliamentary election in Lithuania, October 2016’, Electoral Studies, Volume 47, June 2017, pp. 46-50. Kai M. Thaler, ‘Nicaragua: A Return to Caudillismo’, Journal of Democracy, vol. 28 no. 2, 2017, pp. 157-169. Nic Cheeseman, Gabrielle Lynch, and Justin Willis, ‘Ghana: The Ebbing Power of Incumbency’, Journal of Democracy, vol. 28 no. 2, 2017, pp. 92-104. Sheriff Kora and Momodou N. Darboe, ‘The Gambia’s Electoral Earthquake’, Journal of Democracy, vol. 28 no. 2, 2017, pp. 147-156. Edward Goldring and Michael Wahman, ‘Democracy in Reverse: The 2016 General Election in Zambia’, Africa Spectrum, 2016, 51, 3, 107-121. Stef Vandeginste, ‘Legal Loopholes and the Politics of Executive Term Limits: Insights from Burundi’, Africa Spectrum, 2016, 51, 2, 39-63. Ryan Gibb, ‘The Elections in Uganda, February 2016’, Africa Spectrum, 2016, 51, 2, 93-101. This entry was posted in New publications and tagged new publications on July 17, 2017 by Robert Elgie.